The Cold War was scary, even if – maybe particularly if – you weren’t one of the major players. 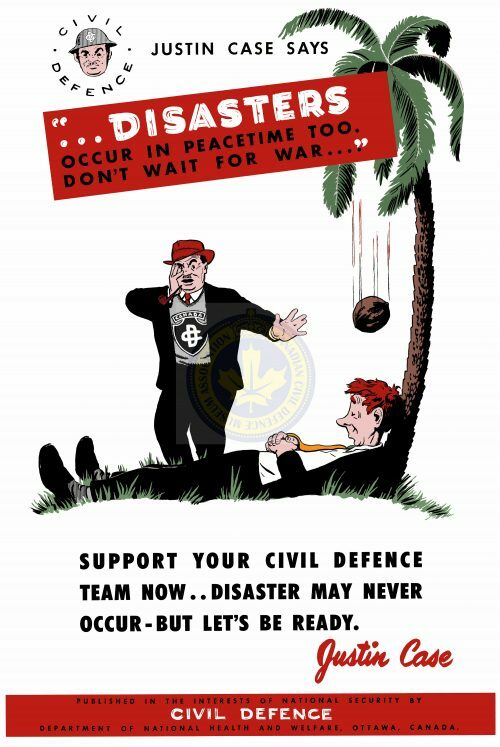 It’s always interesting to see the post World War II balancing act between nuclear preparation and nuclear panic, in all of its different forms, and these civil defence posters are a good look at one way that Canada approached it. 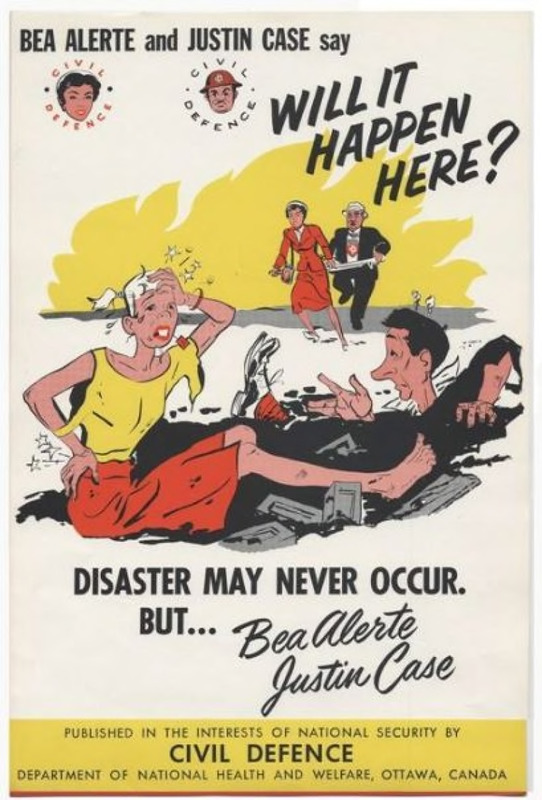 Meet Bea Alerte and Justin Case, courtesy of the Canadian Civil Defence Museum Association. 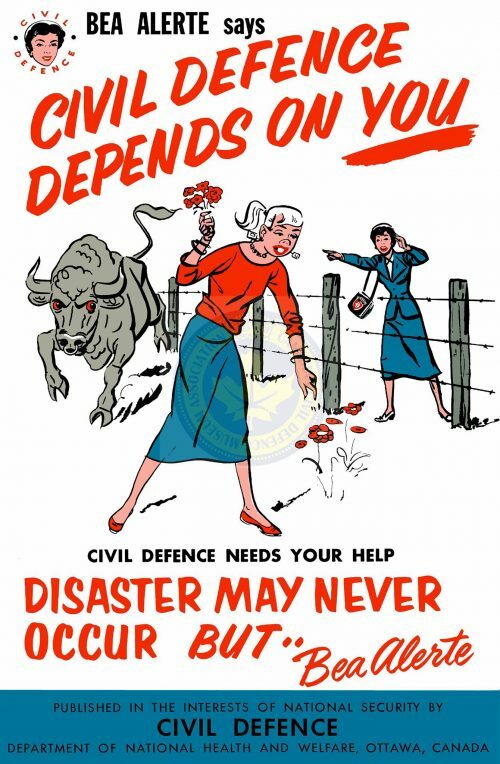 The objective here seems to be aimed at general awareness that civil defence exists? There aren’t any actionable tactics here other than just paying attention. Still, the graphics are eye-catching and very era-appropriate. The tone hits an interesting mixture of light and dark, a grim sort of humor. 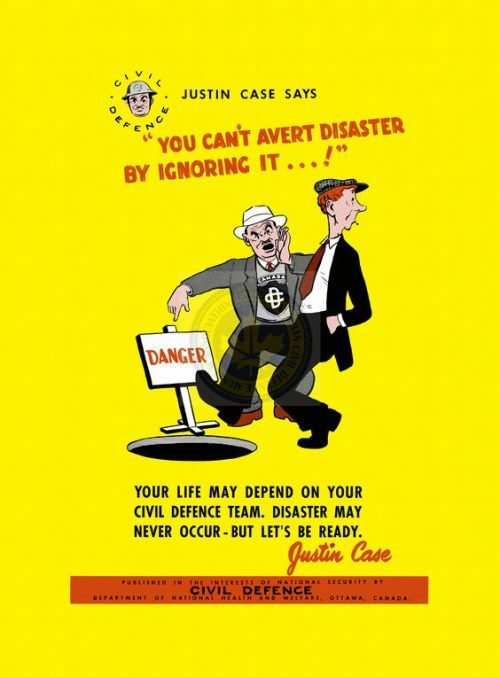 The ‘don’t pick a flower in a bullpen’ generalism is sharply contrasted in the nuclear-specific posters. 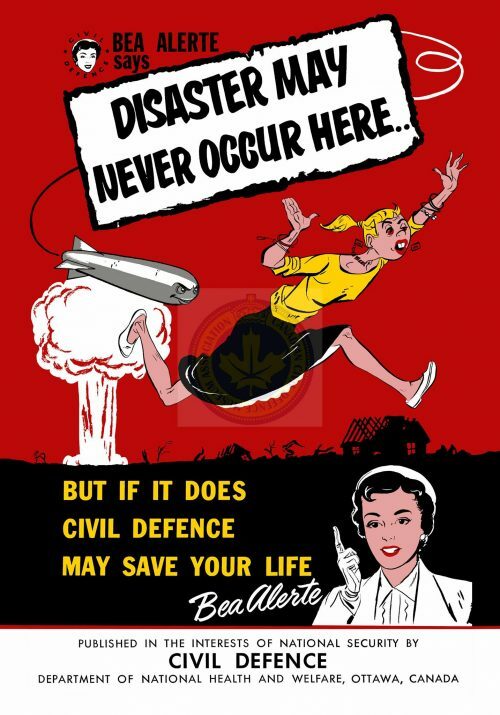 Also don’t run from an atomic blast. It’s already too late.